Do First Impressions Matter? Can They Really Attribute To A Person's Success? First impressions are a huge part of a person’s success. There is an old saying that says “dress to be the person you want to be” and it couldn’t be more true. Wherever you decide to work, you need to dress like those people dress. You need to become like them. Then, when you go in for an interview you will already fit the part. First impressions are all unconscious and are made within the first 5 seconds of seeing someone. Therefore, it is absolutely essential that you look the part. When I was younger, I decided to get an extra degree in concrete masonry. For an academic, who usually dressed in button down shirts and nice pants, fitting in was nearly impossible. Therefore, before I started the program I went out and got some raggedy jeans and some gray T-shirts with building companies on them. My first day, I fit right in with all of the other guys who had on dirty work stained clothing. When it got cold out, we all needed insulated coveralls. Everyone had Carhartts so I had to go out and get a pair. However, since mine looked brand new, the first thing I did before putting them on was go outside and rub them in the mud and concrete dust. Then, when I wore them, everyone thought they were well worn and it wasn’t a problem. Had they looked brand new, I would have been a sure target. One final point to reinforce the importance of first impressions and dressing to be the person you want to be is this. 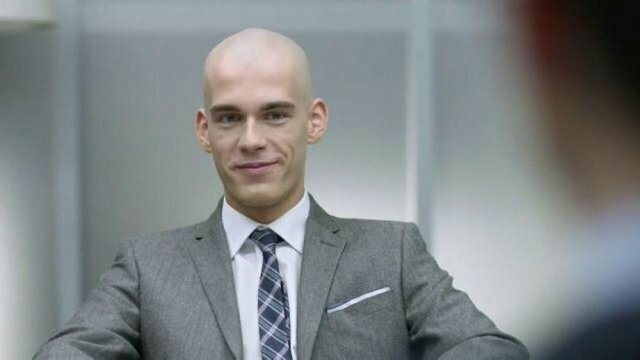 There was an excellent commercial in which a young man was waiting for an interview at a large company. While sitting in the lobby, he noticed that the portraits of the former CEO’s or “big shots” all had shaved heads. Without wasting time, he ran to the bathroom and shaved his head. The next scene shows current “big shot” opening up the door to his office, he also had a shaved heat, by the way. Right away, all the other candidates slump in their chairs, while the one who changed his appearance to fit the role was instantly noticed. Does this happen in real life? You bet it does. People want to work with people who are like themselves. They want to get along with you. If you look and act like they do, they will instantly feel that you will get along. Therefore, even though it is unconscious, dressing to fit the part is essential for your success. It may also be important for you to learn how to read and interpret body language, which you can start doing right away. For more great information, please feel free to check out my website and connect with me on social media. If you've found this post to be useful in anyway, kindly show your support by upvoting. Thank you. The @OriginalWorks bot has determined this post by @spencercoffman to be original material and upvoted(2%) it!